TUESDAY, Dec. 23, 2014 (HealthDay News) -- Obesity is a big contributor to type 2 diabetes, but Asian-Americans may need to pile on fewer excess pounds to develop the disease than other groups do, according to new guidelines from the American Diabetes Association (ADA). The ADA has now lowered the body-mass index (BMI) -- a standard measurement of weight versus height -- at which Asian-Americans should be screened for type 2 diabetes. The new guidelines say Asian-Americans should be screened for diabetes when they have a BMI of 23 or higher, compared with a BMI of 25 or higher for the general population. According to the U.S. National Institutes of Health, "overweight" begins at a BMI of 25, while obesity begins when people reach a BMI of 30. The new recommendation, published in the January issue of Diabetes Care, is based on evidence that many Asian-Americans develop diabetes at a lower BMI than other Americans, the ADA said. Asians are the fastest growing ethnic group in the United States. It's believed they develop diabetes at a lower BMI due to differences in their body composition. They tend to have weight gain around the waist -- the area of the body where fat poses the greatest risk to health -- rather than in the thighs and other parts of the body, according to the ADA. "Clinicians have known this intuitively for quite some time," statement lead author Dr. William Hsu, vice president of international programs at the Joslin Diabetes Center and assistant professor at Harvard Medical School, said in an ADA news release. "They can see that Asian-Americans are being diagnosed with diabetes when they do not appear to be overweight or obese according to general standards," he said. "But if you use the previous association standard for diabetes screening of being age 45 or older with a BMI of  or above, you will miss many Asian-Americans who are at risk." "The position statement highlights, for the first time, the physiologic differences seen between Asian-Americans and other populations affected by diabetes," Jane Chiang, ADA senior vice president for medical affairs and community information, said in the news release. Two experts weren't surprised by the new guidelines. "For many years physicians have known that Asian-Americans tend to have a higher prevalence of diabetes despite having a normal weight," said Dr. Maria Pena, director of the Center for Weight Management at North Shore-LIJ's Syosset Hospital in Syosset, N.Y. "For the first time, the American Diabetes Association is taking these physiological differences into account," she said. Dr. Ronald Tamler is clinical director of the Mount Sinai Diabetes Center at The Mount Sinai Hospital in New York City. He called the new guidelines a "timely reminder for a tailored approach to diabetes and diabetes prevention." 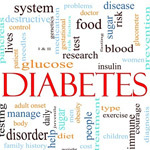 But he added that "true diabetes prevention goes beyond merely measuring height and weight. Health care providers need to have a deeper understanding of culinary and cultural traditions that profoundly impact metabolic health." For her part, Chiang said there's still not enough data on Asian-Americans to make definite statements about their diabetes risk, so "it is important to keep in mind that this is just the beginning. Clearly, we need more research to better understand why these distinctions exist."